Two hospitals in Cumbria have made more than £500,000 in the last year by charging people to park, a Freedom of Information (FoI) request has revealed. It shows the North Cumbria University Hospitals NHS Trust gained £521,000 in 2016/17 from the Cumberland Infirmary Carlisle and the West Cumberland Hospital in Whitehaven. £340,000 of that money came from staff, and more than £180,000 from patients and visitors. The trust has made around £150,000 more than last year, when charges added up to £367,000. Across the UK, NHS hospitals have been accused of putting a "tax on sickness" after the data showed they made a record £174 million over the last year. Hospitals across England raked in £174,526,970 in parking charges in 2016/17 - a six percent increase on the year before, when hospitals took in £164,162,458. The Liberal Democrats branded the charges a "tax on sickness", but some hospitals defended the charges, saying some or all of the money is put back into patient care, or spent on maintaining car parks and grounds. 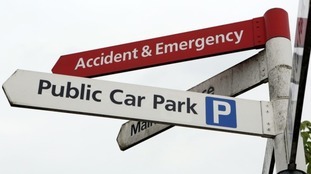 120 NHS trusts across England were asked to give figures on parking charges and fines. Of those, 111 responded to the FoI request. The Trust has invested significantly to create an additional 400 parking spaces at the Cumberland Infirmary Carlisle and 200 spaces at the West Cumberland Hospital in Whitehaven, to address congestion and unsafe parking practices, enabling patients to park at the hospital when they come for appointments or to visit poorly relatives. Before the changes which were introduced in 2016 80% of patients could not get parked within 10 minutes of arriving at our hospitals, compared to 80% getting parked in that time now.